It didn't occur to me, when I purposefully bought bananas and flour, that I would be missing a key ingredient. While most items on my usual shopping list are conspicuously absent, I thought that a sweet baked treat would be a nice mid-way pick-me-up during the Live Below the Line week. So you can imagine last night, when I went to throw together some banana bread ingredients, how shocked I was to find that sugar had not made the £1 a day cut. Oh, woe is me! Now let's be frank. For most of human's evolutionary history, there has never - let me repeat - never before been such easy access to simple, refined sucrose. With the availability of edibles anything but reliable, our ancestors capitalized on those rare periods when high sugar fruits and simple carbohydrates were in abundance. That's not to say sugar is only a recent phenomenon. People in the tropics have been munching on domesticated cane for 10,000 years, but primarily for medicinal purposes until around the 7th century (and then only for elites on special occasions). Nowadays, when sweet, salty, fat abounds, with minimal effort on the part of the eater - perhaps just a click of a button - our hardwired insticts are backfiring. The plight of our sugar-laden society is en vogue right now, and our media is buzzing about how much sugar is too much and whether we need a big, fat label to tell us we've gone too far. Our habitat has changed, but we're still catching up. But obesity and diabetes are not the only sinister sides of this baking must-have. 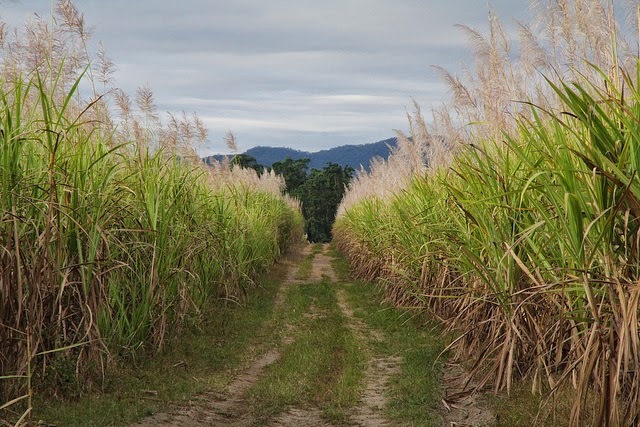 The history of sugar is rife with social injustice and environmental degradation. Enter 15th century Europe and a storm is abrewing. Perhaps the 'Age of Exploration' would be better named the 'Age of Finding New Places to Grow Tasty Things', as Northerners had developed a sweet tooth with their conquests into the Middle East. The obvious solution to the sugar deficit was to travel across the ocean blue, to the New World, enslave the local populations in the Carribean and South America, and clearcut the rainforest for plantation. Jamaica is the textbook, and earliest, example of exploitation in pursuit of sugar. After the Spanish wiped out the Taino people with their guns, germs, and steel, the British shipped in tens of thousands of African slaves to work the fields, mills, and refineries. While the modern sugar industry may have tamed a bit (though is now pesticide-ridden, to boot), there are still cases of infractions against humanity. Night before: mash banana, combine with squash, and then stir in starter and flour. Maybe add a bit more flour as you start to work the ingredients together with your hands. It's not a full-fledged knead, and it will be sticky, but try to incorporate everything nice and evenly. Form some semblance of a dough ball and place in an oiled (a luxury I could not afford) baking dish or pan. Cover with a towel or wrap and place in fridge. Morning of: remove from refrigerator at least 1 hour before you plan to bake. Preheat oven to 200°C and then bake for 35-45 minutes. I then left it in the oven while it cooled, but you can do so on the counter, as well. It will still be relatively moist. You can still donate to my Live Below the Line fundraising!